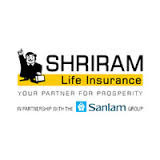 Job Description:Shriram Life Insurance is Hiring for Various Positions in our Corporate Office. Executive, Sr. Executive - Claims Operations. Executive - Claims (Female - Voice). Desired Profile:Prior experience in same process will be preferable. Required 1 - 4 years of prior Life Insurance domain experience.